After lunch today I had some leftover mashed potato and broccoli. 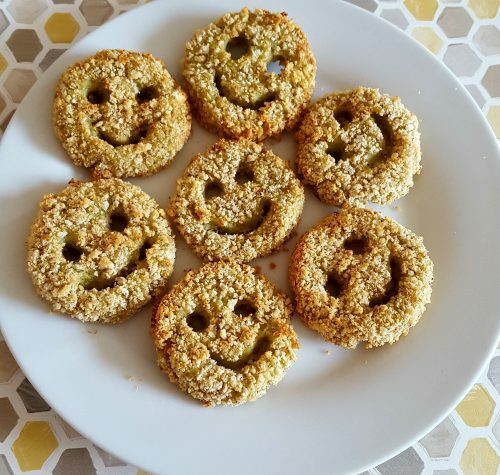 I decided to get creative and make my own version of an old classic, potato smilies! 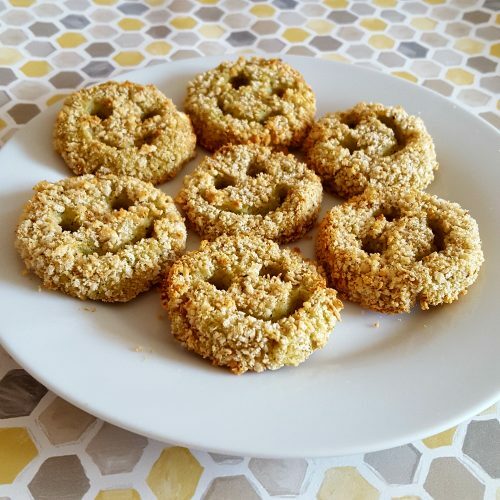 So here it is, a healthy take on one of my favourite childhood foods, broccoli smilies! Cook the broccoli (Steam or boil). 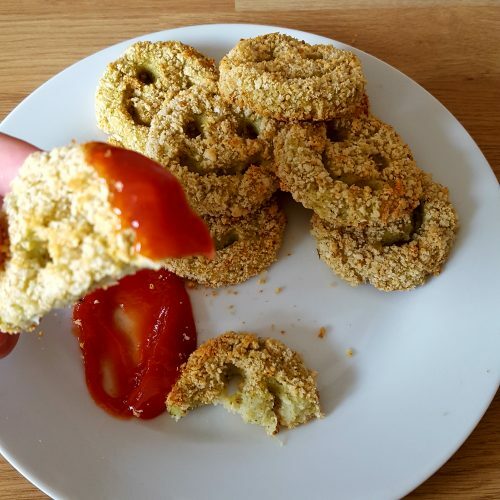 Put the broccoli, mashed potato, cheese and cornflour in a food processor and blitz until well combined. Put the mixture in the fridge to chill for 30 minutes. Roll the mixture into small balls (about a dessertspoonful each) and flatten slightly to make circles approx 1cm thick. Mix the breadcrumbs with the mixed herbs and black pepper. 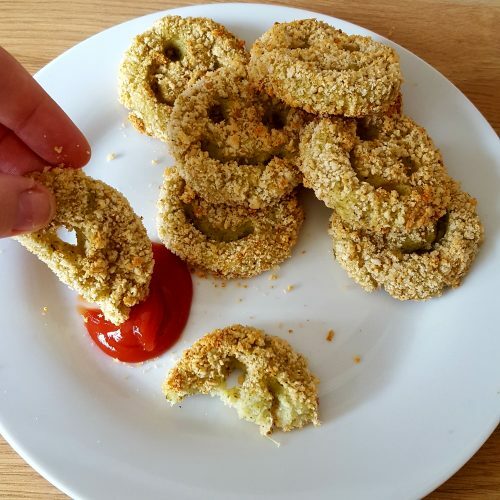 Coat the circles in the breadcrumb mixture on both sides, make sure you don’t miss the edges! 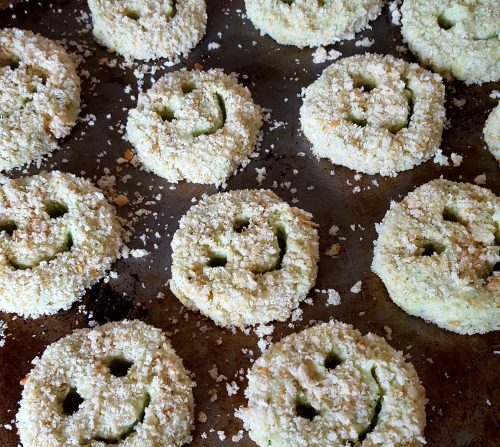 Use a cocktail skewer to make a smiley face on each circle. Cook in the oven for 30mins at 180ºc, until golden. Look great for leftovers. Would they keep in fridge or freezer post cooking?